Why is it so much easier for the Democratic Party to win the national popular vote than to build and maintain a majority in Congress? Why can Democrats sweep statewide offices in places like Pennsylvania and Michigan yet fail to take control of the same states' legislatures? Many place exclusive blame on partisan gerrymandering and voter suppression. 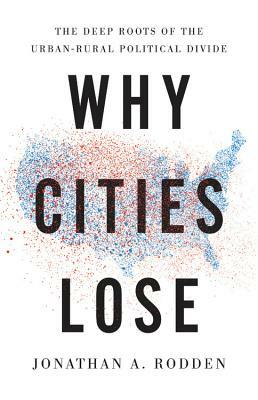 But as political scientist Jonathan A. Rodden demonstrates in Why Cities Lose, the left's electoral challenges have deeper roots in economic and political geography. In the late nineteenth century, support for the left began to cluster in cities among the industrial working class. Today, left-wing parties have become coalitions of diverse urban interest groups, from racial minorities to the creative class. These parties win big in urban districts but struggle to capture the suburban and rural seats necessary for legislative majorities. A bold new interpretation of today's urban-rural political conflict, Why Cities Lose also points to electoral reforms that could address the left's under-representation while reducing urban-rural polarization. Jonathan A. Rodden is professor of political science and a senior fellow at the Hoover Institution at Stanford University and founder and director of the Stanford Spatial Social Science Lab. The author of the prizewinning Hamilton's Paradox, he lives in Stanford, California.